We are proud to announce our “International Summer School on Geospatial Data Science with R” taking place at the GIScience department of Jena (Germany) from 25. August to 1. September 2019. The summer school will consist of a mixture of lectures and lab classes and will teach advanced geospatial techniques for analyzing and predicting global change phenomena on the command line (mainly using R) in a fully reproducible workflow. This includes predictive modeling using statistical and machine learning techniques, model assessment and data science challenges with geospatial data. The summer school is generously funded by the German Academic Exchange Service which means that each accepted international participant will receive at least a funding of 450 Euros upon successful completion of the summer school.1 Application deadline is 15. May 2019. Please share this fantastic opportunity with all interested parties and refer to the official website for more information on how to apply, the program and the invited lecturers. We are looking forward to welcoming you in Jena! conference, where Jannes ran a workshop on the topic. In this article we share teaching materials from eRum for the benefit of those who couldn’t be there in person and provide a ‘heads-up’ to the R-Spatial community about plans for the book. We’ll start with an overview of ‘geocomputation’ (and define what we mean by the term) and finish by describing how R can be used as a bridge to access dedicated GIS software. Unlike early works in the field all the work presented in this book is reproducible using code and example data supplied alongside the book (using R, a great language for reproducible research). Like many open source projects R is evolving. Although ‘base R’ is conservative (as demonstrated in Roger Bivand’s keynote, in which he did a live demo using a version of R from 1997 that still runs! ), the ‘ecosystem’ of packages that extend its capabilities changes fast (video here, slides at rsbivand/eRum18). ##  "base" "boot" "class" "cluster" "codetools"
##  "compiler" "datasets" "foreign" "graphics" "grDevices"
##  "grid" "KernSmooth" "lattice" "MASS" "Matrix"
##  "methods" "mgcv" "nlme" "nnet" "parallel"
##  "rpart" "spatial" "splines" "stats" "stats4"
##  "survival" "tcltk" "tools" "utils"
during another keynote). These can be relied on to change very little in terms of their API, although bug fixes and performance improvements happen continuously. die (or are abandoned) and change, sometimes dramatically. And this applies as much (or more) to r-spatial as to any other part of R’s ecosystem, as can be seen by looking at any one of R’s task views. At the time of writing the Spatial task view alone listed 177 packages, many of them recently contributed and in-development. In this context it helps to have an understanding of the history (Bivand, Pebesma, and Gómez-Rubio 2013). Like in politics, knowing the past can help navigate the future. More specifically, knowing which packages are mature or up-and-coming can help decide which one to use! For this reason, after a slide on set-up (which is described in detail in chapter 2 of the book), the workshop spent a decent amount of time talking about the history of spatial data in R, as illustrated in slide 20. A more detailed account of the history of R-spatial is provided in section 1.5 of the book. The slides outlining the basics of Geocomputation with R (which is roughly a synonym for r-spatial) can be found here. The slides describing vector data in R can be found here. On the other hand, a raster data represents continuous surfaces in form of a regular grid. You can think about a raster as a matrix object containing information about its spatial location. It has rows and columns, each cell has a value (it could be NA) and its spatial properties are described by the cell resolution (res), outer borders (bounding box – xmn, xmx, ymn, ymx), and coordinate reference system (crs). In R the raster package supports the spatial raster format (Hijmans 2017). The data structure makes raster processing much more efficient and faster than vector data processing. Raster objects can be subsetted (by index, coordinates, or other spatial objects), transformed using local, focal, zonal and global operations, and summarized. Importantly, there are many tools allowing for interactions between raster and vector data models, and transformation between them. The slides associated with the raster data part of the workshop can be found here. More advanced maps were demonstrated, including this animated map of the United States (for information on how to make animated maps with R, see section 9.3) of Geocomputation with R.
The slides forming the basis of the visualization part of the tutorial can be found here. RQGIS provides access to QGIS. For much more details and background information, please check out the corresponding R Journal publication. Note that you must have installed the GIS software on your machine before you can use it through R.
In the workshop we shortly presented how to use RQGIS. The corresponding slides can be found here. In the book we additionally demonstrate how to use RSAGA and rgrass7 in Chapter 10. Geocomputation with R is a collaborative project. We joined forces because each of us has been been teaching and contributing to R’s spatial ecosystem for years and we all had a similar vision of a book to disseminate R’s impressive geographic capabilities more widely. Bugs: issues with lines of prose or code that could be improved. Future-proofing: will the code and advice given stand the test of time? If you think some parts will go out of date quick, please let us know! Anything else: ideas for other topics to cover, for example. We would like to thank the anonymous peer reviewers who have provided feedback so far. We’re still working on changes to respond to their excellent comments. If you’re interested in getting involved in this project, please see the project’s GitHub repo at github.com/Robinlovelace/geocompr and check-out the in-progress chapters at geocompr.robinlovelace.net. Bivand, Roger S., Edzer Pebesma, and Virgilio Gómez-Rubio. 2013. Applied Spatial Data Analysis with R. 2nd ed. 2013 edition. New York:Springer. Chambers, John M. 2016. Extending R. CRC Press. Hijmans, Robert J. 2017. Raster: Geographic Data Analysis and Modeling. Longley, Paul. 2015. Geographic Information Science & Systems. Fourth edition. Hoboken, NJ: Wiley. Pebesma, Edzer. 2018. 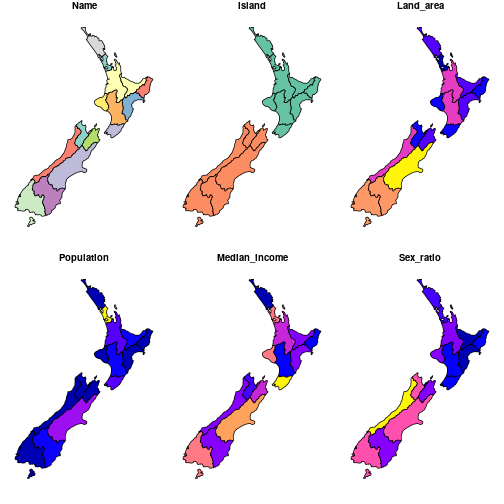 “Simple Features for R: Standardized Support for Spatial Vector Data.” The R Journal. Note also that RPyGeo provides access to ArcMap which is a commercial Desktop GIS software. run_qgis now accepts R named arguments as input (see example below). The load_output argument is now logical. If TRUE all specified output files will be loaded into R.
For a detailed overview of all changes, please refer to the release news. Next, we need to find all paths necessary to run successfully the Python QGIS API. Please note, that the output of set_env will be cached and reused in subsequent function calls. Note also, that set_env is always faster when you indicate the path to your QGIS installation, in my case e.g., set_env(root = "C:/OSGeo4W64"). 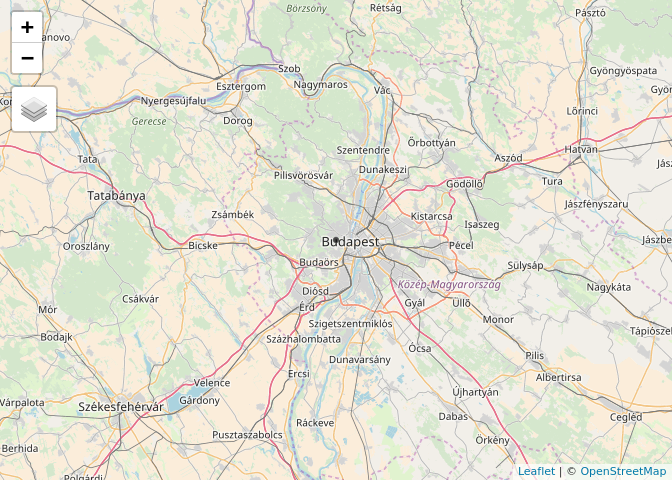 Secondly, we open a QGIS Python application with open_app. Now, that we have established a tunnel to the QGIS Python API, we are ready for some geoprocessing. First, we need a geoalgorithm, that computes the slope and the aspect of a digital elevation model. To find the name of such a geoalgorithm, we use a regular expression which searches for the terms slope and aspect in all available QGIS geoalgorithms. ##  "r.slope.aspect - Generates raster layers of slope, aspect, curvatures and partial derivatives from a elevation raster layer.--->grass7:r.slope.aspect"
##  "r.slope.aspect - Generates raster layers of slope, aspect, curvatures and partial derivatives from a elevation raster layer.--->grass:r.slope.aspect"
But now you can also use R named arguments in run_qgis, i.e. you can specify the geoalgorithms parameters directly in run_qgis (adapted from package rgrass7). Here, we specify the input- and the output-rasters. For all other parameters, default values will automatically be used. For more information on the R named arguments, please refer also to the documentation by running ?run_qgis and/or ?pass_args. Setting load_output to TRUE automatically loads the resulting QGIS output back into R. Since we have specified two ouput files, the output will be loaded into R as a list (here named out) with two elements: a slope and an aspect raster. However, in the background, QGIS calculates all terrain attributes and derivatives provided by grass7:r.slope.aspect, and saves them to a temporary location. Of course, if you wish you can still access these layers from there. We are happy to announce the MSCJ-LIFE spring school on Statistical analysis of hyperspectral and high-dimensional remote-sensing data. The spring school will take place in Jena (Germany) at the GIScience department of the Friedrich-Schiller University on March 13-17 2017. We invite participants from a wide range of disciplines interested in high-dimensional (geo-)data manipulation, viszualization and analysis mainly using R. International experts will provide a mixture of theory and hands-on sessions. Here you can find more information about the training school as well as the program. The deadline for applicants is January 31st 2017 (late applications accepted if places remain). Please apply through this link. We would be grateful if you distributed this information to all people potentially interested in this spring school, and are looking forward to welcoming you in Jena this spring! A while ago Arnold explained in his post how to create an inset map using ggplot2. This is great but I have to admit I rarely use ggplot2 in combination with spatial data. Instead I often find myself using the plot functions provided by the raster- and sp-package. To create an inset map with these plot methods, we have to slightly adjust Arnold’s code. First of all, let us attach some packages and data. Next, I create the main plot and subsequently add the inset map. Kurt Menge recently explained in his post how it is possible to use R from within QGIS – the leading and open-software Desktop GIS. This is great but to access the geoalgorithms provided by QGIS you would still have to use Python or the QGIS GUI. So it would come in quite handy, if one could access QGIS geoalgorithms from within R. And that’s exactly what the RQGIS package is doing. This opens up a whole new world of (geo-)statistical geocomputing. RQGIS accesses the Python QGIS API but R users can stay in the familiar R programming environment without having to touch Python. For the first time, you can access native QGIS algorithms from within R.
QGIS itself integrates many third-party providers. Among these are GDAL, SAGA GIS, GRASS GIS and many more. RQGIS brings you this incredibly resourceful geoprocessing environment to the R console. Though it is a big advantage to be able to access SAGA and GRASS functions using only one package (RQGIS), RSAGA and rgrass7 (spgrass6) are still useful (and great packages by the way). For instance, not all SAGA and GRASS functions are available in QGIS. RQGIS offers convenience functions. For example, get_args_man mimics the behavior of the QGIS GUI by automatically retrieving all function arguments and corresponding default values for a given function. This makes the usage of RQGIS frequently more user-friendly compared to RSAGA and rgrass7 (spgrass6). But that is just my opinion and you are more than welcome to check it out. The second convenience function open_help lets the user access the QGIS online help for a specified geoalgorithm. Bar a few exceptions, this already works for all GRASS, QGIS and SAGA functions. In the last few weeks we have been testing the package (though with a strong focus on GRASS, QGIS and SAGA functionalities). Within the next six weeks, we would like to put RQGIS on CRAN. Until then the R(-GIS) community is more than welcome to install the developer version. On https://github.com/jannes-m/RQGIS you will find a quick tour how to install and use RQGIS. We would appreciate any feedback, and of course you are welcome to contribute to our package.